- If you enjoy translating literary works from a non-English language to English (or if you enjoy trying to do so). Can you translate a song, a poem, a short story or any interesting piece of writing to English? Then come on, don't be shy and contribute (post it in a thread)! - If you're a native speaker of a non-English language and want to help others who are learning it. 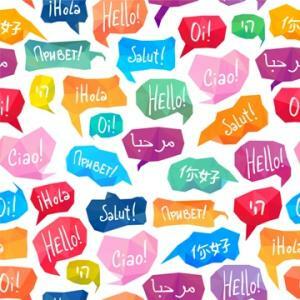 - If you are currently learning a new language and want to share your progress with others. - If you simply love talking about languages and linguistics in general. Join and spread the word for the love of language! Everyone's welcome, not just polyglots.